The nights are now at there longest and if you are anything like me, it gets to 8pm, its already been dark for 4 hours, and you are thinking is it too early for bed? Don’t even talk to me about the mornings, 7.30 feels like the middle of the night. During these long nights, electric light becomes more important than ever. We are focusing on bedside lights that are not only stylish but also practical. When it comes to selecting the right one you need to consider several things, and of course if you have a partner you may well need two, but you and your partners needs might be very different. For the purposes of this post we are focusing on those three. If you are lucky enough to be able to fit a pendant at your bedside we would recommend the Le Klint Carronade, its a directional pendant so you can angle the light where you want it. For most of us however, the practicalities of wiring and switching a pendant independent of the main light makes it a non starter. Two things to think about when selecting a wall light, the switch (this will be a recurring theme) and the size, despite what people say when it comes to the bedroom, length really does matter. Selecting the correct length, which will normally depend on where you intend to mount it; if it’s behind the headboard then you will want a longer arm so the light source will come past the headboard and you can direct the light where you need it. 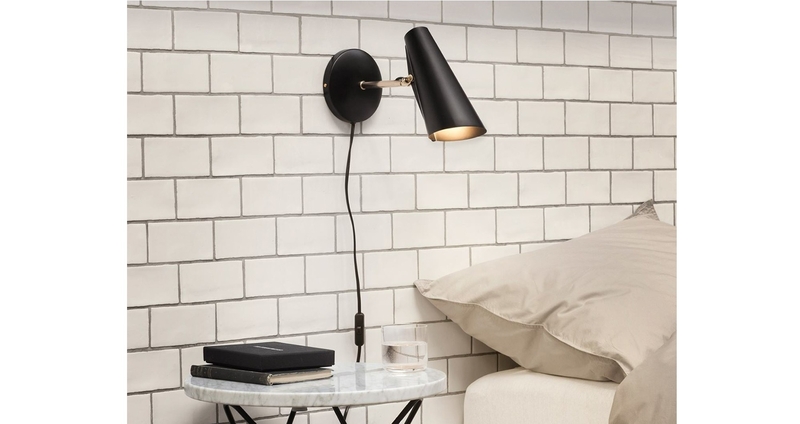 If you are mounting the wall light directly on the headboard this is less important as it should be easy enough to direct the light over your shoulder with a shorter lamp. The Northern Birdy wall light is available in both a long and short arm version so you can select the best option for your situation. You also need to think about the switch, most of the wall lights have a wire and plug if you want to plug them in, but if you wanted to hard wire them into the wall or headboard with no trailing wires then you need to think about the switch. If there isn’t a switch on the body of the light you will need to fit an additional switch to the wall or headboard. The Fritz Hansen Caravaggio wall light has a fitting for both plugin in or hard wiring situations with a switch on the body of the lamp. If you have a bedside table and can spare a little space for a lamp then you can go for a table lamp. Table lamps look great and can be practical so long as you select carefully. Go for a lamp with a small footprint, if you are anything like me your table will get pretty cluttered with a book, alarm, phones (tut tut), a glass of water etc; so you don’t want to be taking up loads of space with a table lamp. The Northern Buddy lamp has a really small footprint and also has the added feature of a little storage container where you can keep your small items such as jewellery or spectacles. 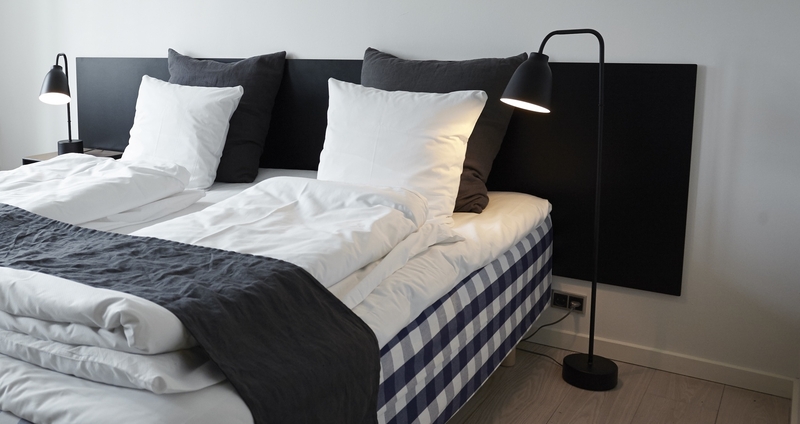 If you don’t need a directional lamp and just need some light to get into bed, take a look at the Fritz Hansen Volume table lamp. It’s compact by design and has the added benefit of a dimmable switch feature by turning the top. It means you can turn the lamp down really low to avoid disturbing your partner or your circadian rhythm, it also means you are not fishing around for an inline switch just as you are about to nod off. I recently read SLEEP by Nick Littlehales, this world renowned sleep coach recommended that you buy as bigger bed as possible, even if this means forgoing other things such as bedside tables. This seemed like a good idea to us, so we went for the recommended Super King, however I needed a bedside light and a table light was now not an option. A wall light was also not possible due to the fragile nature of our 100 year old plaster. Sorry to harp on about this but once again it’s all about the switch, most floor lamps have an inline floor switch which makes sense for switching on/off normally but if its a bedside light you don’t want to be fumbling about to find the switch. 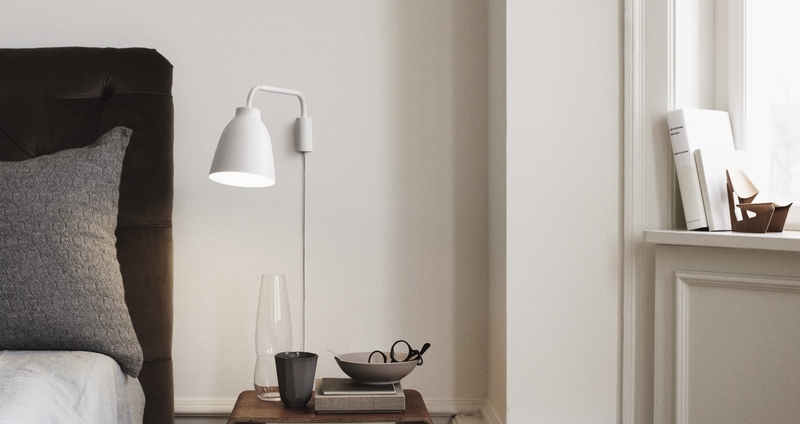 Two lamps to look out for are the Fritz Hansen Caravaggio Read Floor Lamp and the CPH Lighting Oblique Floor Lamp. The Carravaggio Read lamp has a three stage dimmer switch on the stem which is a great feature when used as a bedside light. 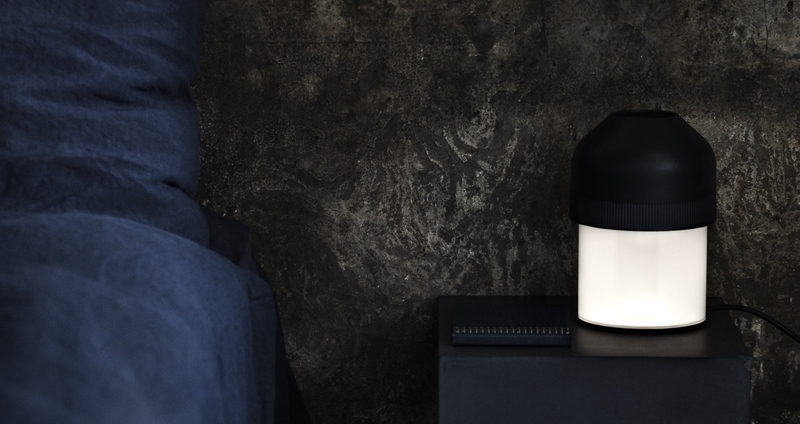 The lamp with the most thoughtfully placed switch is the CPH Lighting Oblique Floor Light, it has a large button placed on the top of the head of the lamp, you can find it with your eyes closed…perfect. It also has a small footprint (great when space it tight) and is available in a lovely range of Nordic inspired colours. Thats our round up of the best bedside lights. If you would like any further information about any of the lamps in this post please feel free to contact us and we would be happy to help. You can also visit our showroom to take a look at our range. 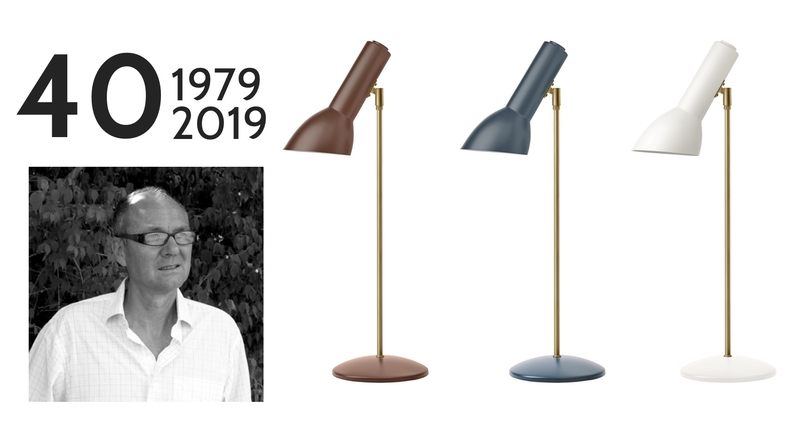 To celebrate the CPH Lighting Oblique lamp turning 40 and the launch of the anniversary brass addition of this classic lamp, we are giving away one table lamp on our Facebook page. Head over to look at the colours, choose your favourite and share for a chance to win (UK customers only).